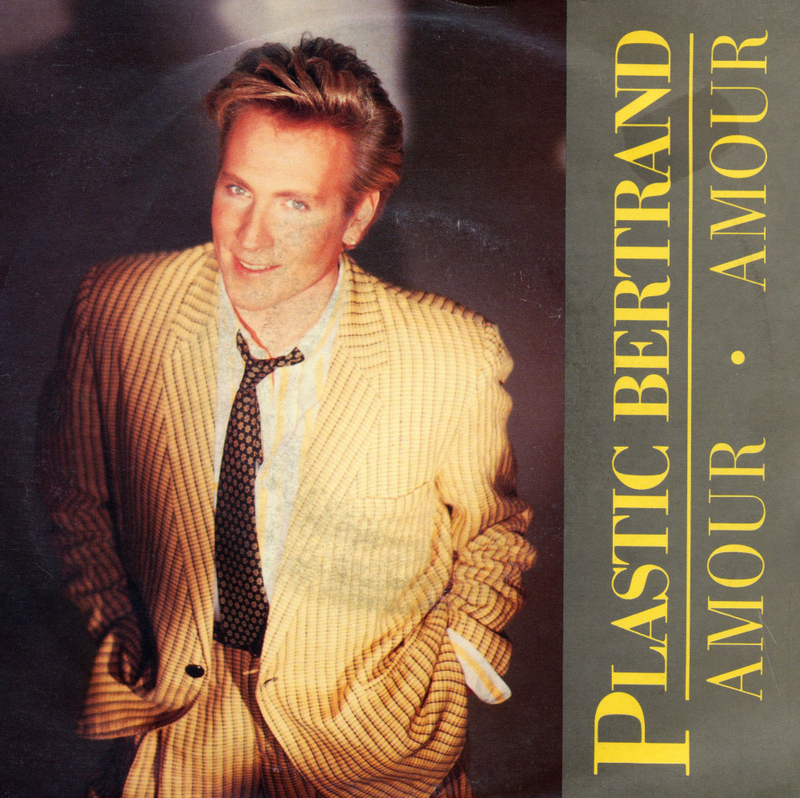 In 2010, Plastic Bertrand confessed that he didn't sing his biggest hit, 'Ça plane pour moi', himself. It is quite astonishing, then, that the singer, who was born in Brussels, still managed to stay in the music business long enough to participate in the 1987 edition of the Eurovision Song Contest. In that year, he represented Luxembourg with the song 'Amour amour'. Unfortunately, that song wasn't nearly as surprising and exciting as that famous 1977 punk single. At the close of voting, the song had received just 4 points, finishing 21st in a field of 22 competitors. Turkey debuted in the Eurovision Song Contest in 1975. 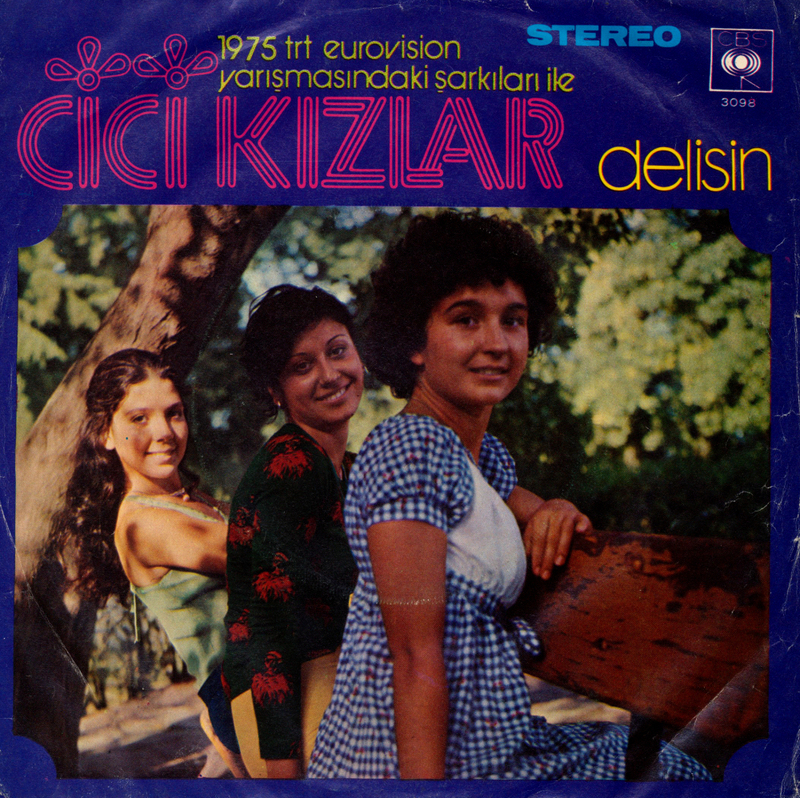 Judging from the cover of this single, you might think that it was with this song, but no: the country competed with the song 'Seninle bir dakika' by Semiha Yanki. 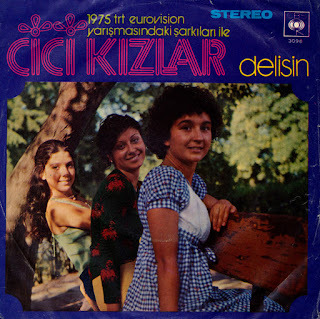 Cici Kizlar consisted of Şebnem Aksu, Birnur Bilginoğlu and Bilgen Bengü. Their song 'Delisin' ('You're mad') charmed the audience during Turkey's national final and actually shared first place. Because Semiha Yanki apparently got more votes from the professional jury, she was sent to Stockholm. However, 'Delisin' became a big hit in Turkey. The trio produced other singles in rapid succession. By the end of 1976, the group broke up. Bilgen Bengü was the only member of the group who continued music career afterwards. 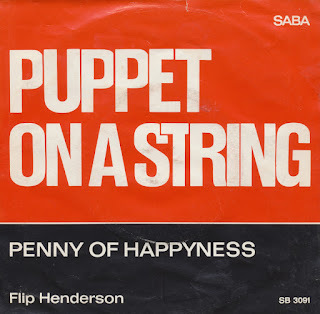 The 1975 Belgian entry of the Eurovision Song Contest by Ann Christy appeared on this blog four years ago, in two versions: the original version 'Gelukkig zijn' and the English version 'Could it be happiness'. At the time, I thought these versions were the only two that existed, but thanks to a lucky acquisition, I know better now. 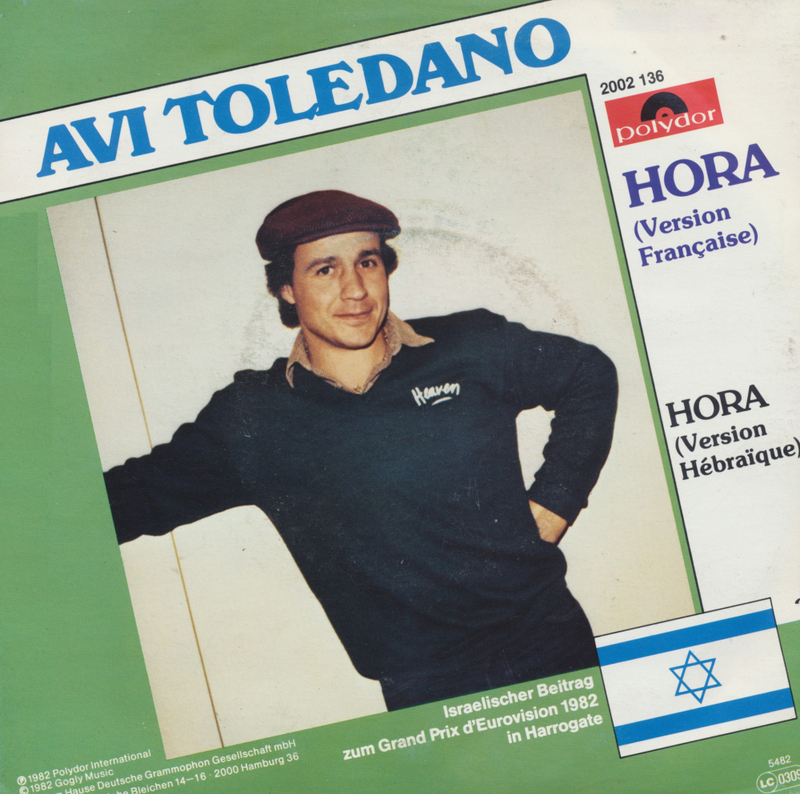 This single features the French version, 'L'histoire du bonheur'. As you can see, this single is also housed in a sleeve similar to the other two. It turns out there's a fourth version as well: the German 'Wenn keiner mehr zu dir steht'. Let's hope that one pops up somewhere for me too. Cyprus is hardly a superpower in music: there are no real big stars from the island and in Eurovision it has never managed to win, despite receiving those 'douze points' from Greece almost every time. In 1987, Alexia Vassiliou represented the country with this very decent pop song, 'Aspro-mavro'. The title means 'black and white'. The lyric describes how a girl remembers a man she saw on a train - but she can only bring the memory back by playing the piano. At the close of voting, the song had received 80 points, placing 7th in a field of 22 competitors. I haven't had any comments about the many Eurovision Song Contest singles on this blog recently (Come to think of it, I haven't had any comments at all over the last few months!) but truth is, I have been buying almost nothing else recently. But there is always the odd exception, and here is one of them: a 1993 single by Dannii Minogue. Kylie's little sister, indeed. While Kylie has had a career with some downs but mostly ups, Dannii's career is almost the other way around. 'This is the way' is a good example of her usual chart performance: it reached number 27 in the UK charts and number 45 in Australia. The main selling point of this single is not the tune - which, frankly, is quite mediocre - but the limited edition poster bag. Six years ago (wow, how time flies) I wrote about 'Hora' by Avi Toledano, a single I'd bought in 1982, just months after he'd participated in the Eurovision Song Contest. WIth my modest budget it was a feast to get any Eurovision song that wasn't a winner. Little did I know that three decades later I would be buying Eurovision singles in spades. 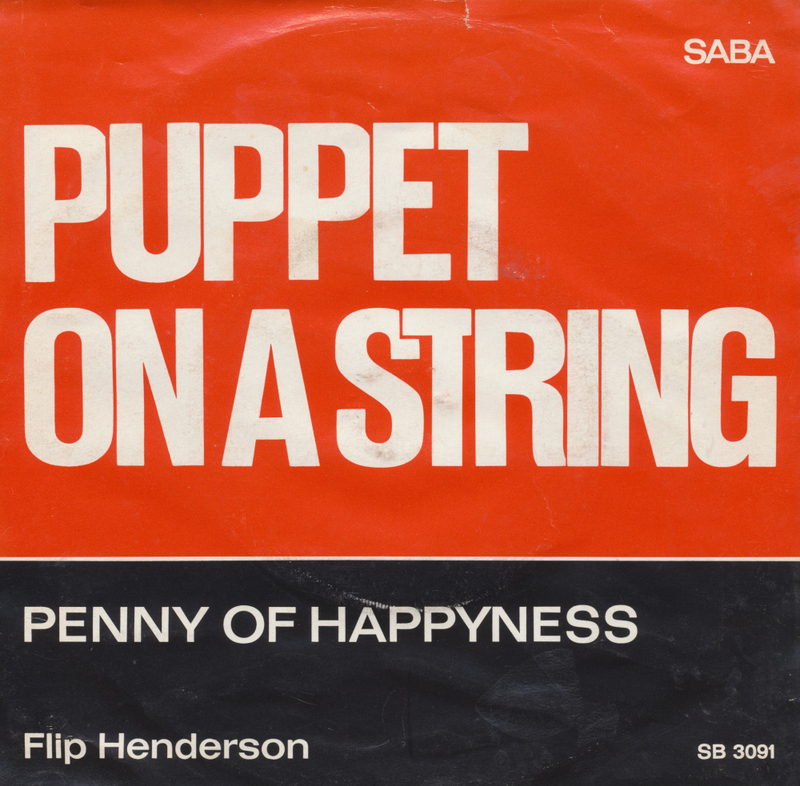 I came across this version of the single recently. I'd seen it before, but this version is usually rather expensive because of its inclusion of a French version. This time, however, the disc was a steal at just one euro. And so, it finally arrived into my collection. 'Chi Sara' ('Who Will Be With You') was the Italian entry in the Eurovision Song Contest 1973, performed in Italian by Massimo Ranieri. The song was performed tenth on the night. At the close of voting, it had received 74 points, placing 13th in a field of 17 competitors. 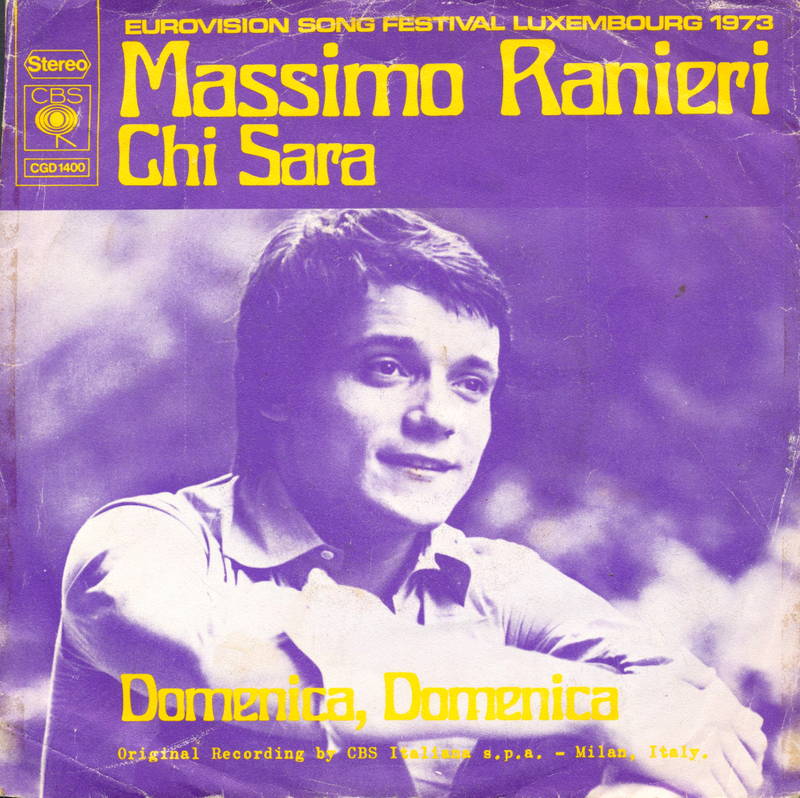 Massimo Ranieri was no stranger to Eurovision: he participated in the 1971 edition as well, with 'L'amore E' Un Attimo'. Although I haven't featured that single on this blog yet, the French version can be found here. 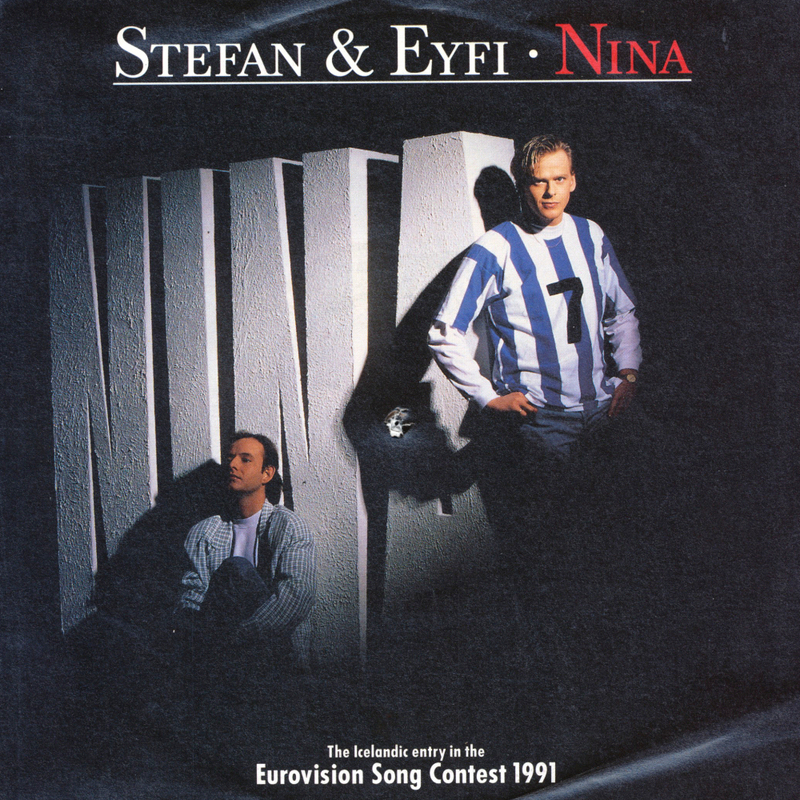 The duo Eyjólfur Kristjánsson and Stefán Hilmarsson participated in the 1991 Eurovision Song Contest with the song 'Draumur um Nínu', representing Iceland. They appeared on stage as the second act of 22. At the close of voting, they ended up in 15th place. Although the song did not fare too well in the contest it has remained one of Iceland's most popular songs of all time, still receiving regular airplay.